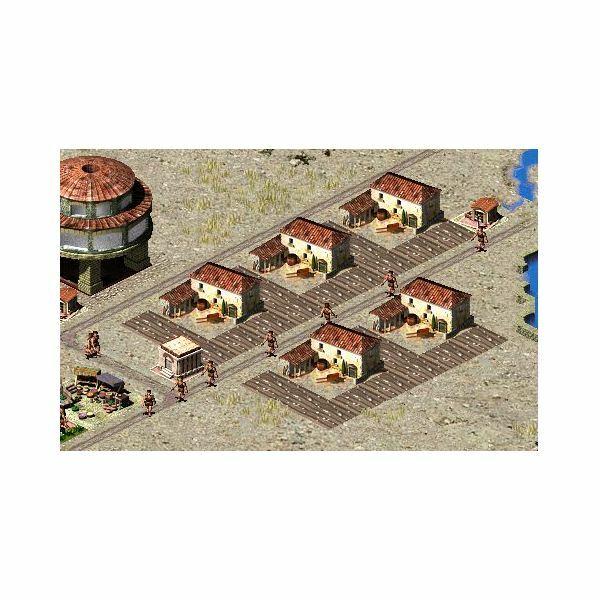 As we have previously examined, aside from a few buildings such as statues and gardens to cite the most evident example, most buildings need to be in the vicinity of a housing-area in order to be provided with workers. When you first build a structure, and when people will have moved into your empty housing-plots, you will see people who are generated by that particular building (which may be a farm, prefecture or any other) who will walk along a road looking for the nearest housing district. These are called ‘recruiters’ and make sure that workers for that particular building are always available; this is why you need to place these buildings nearby houses and try and achieve a straight road-system, particularly in your trade district. You can recognize recruiters by their brown threads and, in case of problems, you can keep track of the recruiters to find out why they aren’t reaching your housing district. It is important for you to build farms, and any other building which needs labour, at least two spaces away from a housing district. It may happen that even though a building which requires workers seems near a housing district, it won’t be able to access the latter; the recruiter will only walk so far before eventually turning back and returning to his starting place. Also, if there are lots of junctions it is likely that the recruiter may miss the housing district entirely as he will have to make more decisions as to which direction to take. If you have worker shortages which you will be unable to solve immediately you can choose to allocate workers to services which you considered most important. This is achieved by visiting your labour advisor where you will be presented with nine different categories of types of employment in your city; these range from water services to entertainment, religious structures and others. You can click on any category which will prompt a window to pop up, with numbers from 1 to 9, and you can click on any number in order to assign a priority to that category of work. It generally is a good idea to assign priorities to water, food and security structures first. Labour allocation does work sometimes, although you will still need to address the problems of workers pretty quickly: even though this will keep your basic structures functioning people will still complain about something else, be it no fun or no education. In the example below you can some recruiters, and priorities given to some basic services in the city.